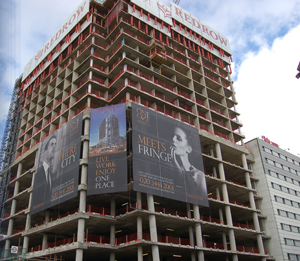 2018 has got off to a flying start, with an already healthy order book and new long-term projects being confirmed in the South East and London. 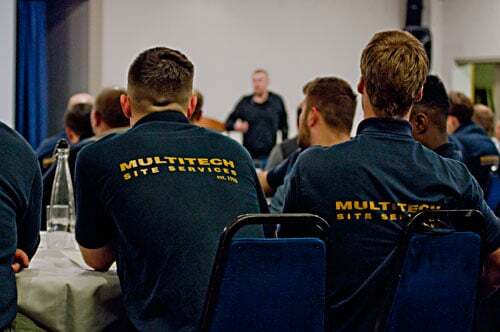 The first day back saw our electricians gather for the Multitech Annual Safety Conference which this year featured guest speaker Dylan Skelhorn. Multitech is now part of the SDIPTECH Group, a Stockholm based organisation which is listed on the Baltic NASDAQ. The SDIPTECH operational model is to stimulate cross-business synergies with a non-invasive approach and acquires niche engineering businesses that contribute to urban infrastructure. Joining SDIPTECH will be beneficial for Multitech and provide additional opportunities for growth, without changes to our business. Multitech Site Services will continue to be a family run business with Guy Scilly remaining as Managing Director. The SDIPTECH business model is based on the understanding that every business leader should have the responsibility of running his/her business independently. Being close to customers and maintaining the flexibility to tailor solutions and act on events in the business environment are critical for any successful niche company. All Multitech operational site services, company details and points of contact remain the same as do our telephone numbers, emails, website, bank details, VAT registration and company number. Guy Scilly, MD, Multitech Site Services: "I am very pleased to welcome the SDIPTECH group as the new owners of Multitech. I like their business philosophy, that we retain complete operational control, the shared values that we hold and the fact that their acquisition preserves not just the Multitech business, but also our workforce who have contributed so significantly to our success. I am in no doubt that SDIPTECH’s expertise and network will enable further growth for Multitech going forward." Jakob Holm, CEO, SDIPTECH: "Multitech has delivered successful projects for many years in temporary infrastructure. The company's focus correlates very well with SDIPTECH's, with a good mix of construction industry clients that are engaged in both public and private sector work. With the acquisition of Multitech, we take an additional step in our strategy to expand to London and the UK." Having SDIPTECH as a parent company not only improves our position today but secures all of our tomorrows. Our annual staff consultation has taken place to choose the Charities Multitech will support throughout 2018. Among the proposed charities were Action Medical Research for Children, Medical Detection Dogs and the RNLI but the charities that received the most votes were Combat Stress and Farleigh Hospice. Events will be organised throughout the year to support these fantastic charities and no doubt once again there will be teams entered for various other charity-specific events.